New Year New You Team Challenge! challenge of getting in shape, forming healthy habits and FEELING BETTER! Here you’ll learn all the details about the program: format, weigh-ins, workouts, great recipes – all the things that will help you get the best results. 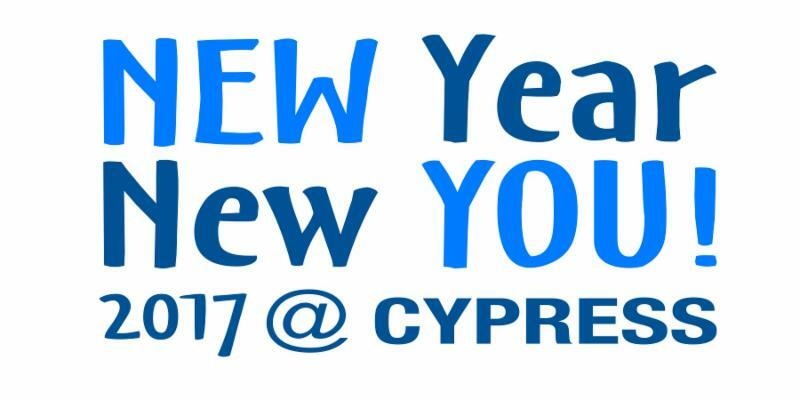 In a nutshell: Teams of 5 people with a Cypress coach compete for the most pounds lost. Cash prizes! Non-members welcome – so recruit a friend. Last year: The 23 teams (115 people) lost on average of 10 lbs each – and as much as 40! The average person lost 1.5lbs a week and….actually enjoyed the process.